Lebanon (MNN) – Lebanon is still overflowing with refugees. The small Mediterranean nation has the largest per capita refugee population in the world. Heart for Lebanon’s Camille Melki says the organization is trying to meet refugees’ needs. 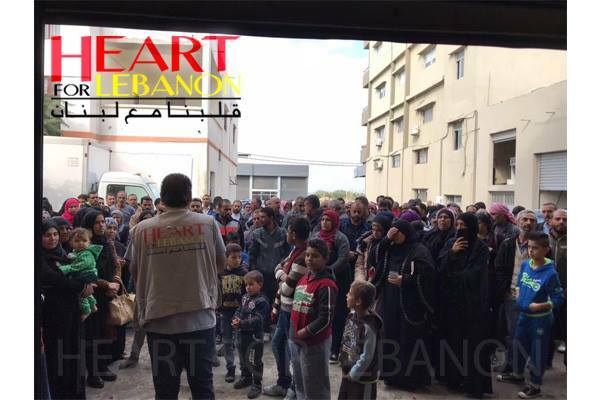 Heart for Lebanon workers are careful to separate Bible studies and aid distribution. The organization does not want refugees to feel they must attend a Bible study or say they believe in Christ just to receive aid. Instead, aid is freely given, with no strings attached. However, Heart for Lebanon does spend significant time weekly with refugees. Workers visit refugees, share tea and stories with them, and listen to their stories, too. During these visits, workers look for opportunities to encourage the refuges. However, doing this has its challenges. First, there needs to be a trusted relationship built between the refugees and workers. After all, it was not strangers who played the part in destroying everyday life for these people. Instead, it was their neighbors, colleagues, country people, and believers from their own religion. Understandably, these refugees are now suspicious of everyone and their motives. They’ve been robbed of basic humanity and their dignity. Their children have lost their innocence and childhood. “The trust relationship begins when a refugee realizes that yes, we are sincere. And we are genuine about attending to their physical needs… [aid distribution] is not a seasonal event. This is not something that happens every now and then, but we are there in the midst providing their physical needs on a regular basis. But also, on a regular basis, visiting, listening, hearing…,” Melki explains. Heart for Lebanon workers often weep with the people they serve, but they celebrate with them, too. Melki says workers are often the first to be invited to their weddings and to learn of the recent birth of a new child. However, workers are also there for funerals and marital or parenting challenges, too. This genuine concern for the refugees opens doors for the hope of the Gospel message to be shared. And these refugees have questions needing answers. 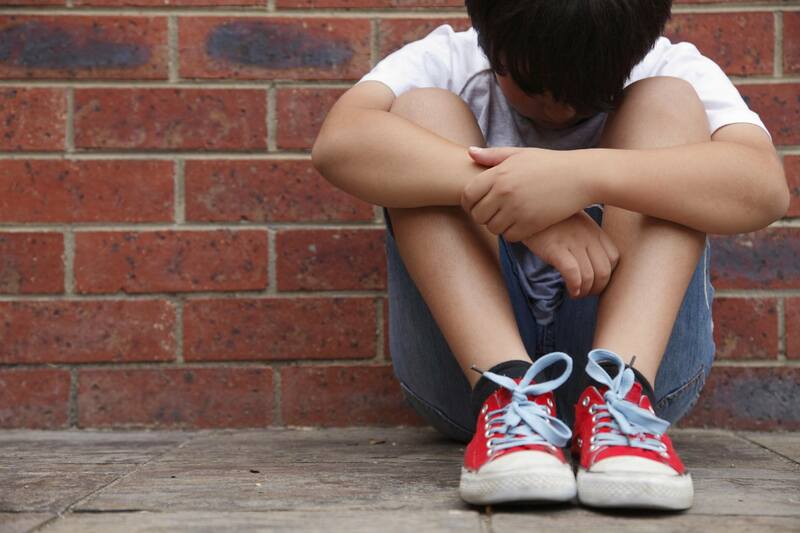 After experiencing life as they knew it ripped away from them, many wonder if God exists. If He does exist, does He even care? “We become like a big brother. We become like part of the family. And then, the opportunity opens up, and opens up wide to address issues of spirituality,” Melki shares. Still, the concept of unconditional love feels foreign to most. Furthermore, the god of Islam is known as the god of justice, strength, power, revenge, and equality. However, Melki says there are no references to this god being a god of love. “Whereas the essence of our faith in Christ is that he has so loved us that God gave His only son to die on the cross for us. So, you’re talking about unconditional love, you’re talking about a language they don’t understand. They become mesmerized, ready, waiting to hear more and more about this Jesus we believe in,” Melki explains. This has made a lot of folks want to join Heart for Lebanon Bible studies. Melki says the organization currently has between 25-30 Bible study groups. Some of these groups are specialized for women, children, or men. Groups are made of varying sizes, too. “No matter what walk of faith they come from. No matter what their ethnic background is, no matter whether they come from Syria or they come from Iraq, people…are seeking the truth and the truth is in the Gospel. The truth is in Jesus Christ as the only savior of all,” Melki shares. 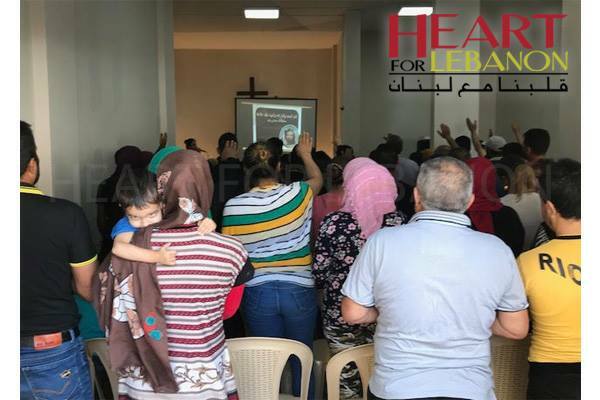 In fact, even without a faith in Christ, refugees will come to Heart for Lebanon distribution centers asking for prayers. They do this because they have watched as God has answered the prayers of workers. But there is a different side to serving refugees—reconciliation. Melki says reconciliation does not happen until people are reconciled with God first, themselves second, and then with others. “If you’re not reconciled with God, if you’re not reconciled with your savior, if you’re not reconciled with yourself—how can reconciliation happen with your neighbor,” Melki shares. It is important to keep in mind that the Lebanese have gone through their own period of pain at the hands of Syria. From 1976 to 2005, Lebanon was under a 29-year occupation by Syria. The guns and cannons may have stopped firing in 1991, but Lebanon continues to experience hardships and effects from the occupation. “The Lebanese today are being put to the test. The reason for that is because we are the victims of the same struggles, the same source of hardship,” Melki explains. The answer—yes. However, Heart for Lebanon is in the business of leading people from despair to a hope in Christ. But it is through Christ’s strength the organization does this. “When you are there, you’re listening to their story, but you’re also being reminded of your own. You’re listening about the lost child that was killed by a sniper, but you’re reminded of a child that you know that has been killed by a sniper,” Melki says. It is this reconciliation, made possible by the grace of God, which brings Heart for Lebanon joy. Heart for Lebanon witnesses this reconciliation in the camps as people come to a faith in Christ. Melki says there are Sunni Muslims worshiping alongside Shiite Muslims and Kurds—now brothers and sisters in Christ. They pray for each other. And through Christ, ethnic and religious divides dissolve and are replaced with a unity in Him. But as Heart for Lebanon lives out Christ in these camps, it needs support to do so. The greatest need, Melki says, is for workers to continue to be sincere in their work and the message of the Gospel. Pray for the workers’ strength, encouragement, and ability to keep building genuine relationships and reflecting Christ. 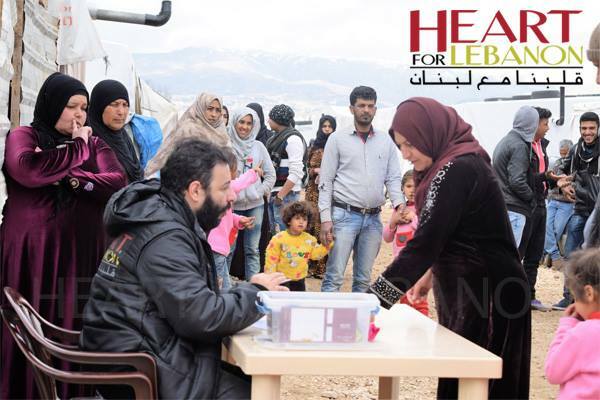 Also, pray for Heart for Lebanon to keep the balance between meeting both physical and spiritual needs. Pray for refugees’ safety. Ask for wisdom and discernment for Heart for Lebanon. And finally, pray for healing and Christ’s transformative love in the lives of these refugees. Visit Heart for Lebanon here! 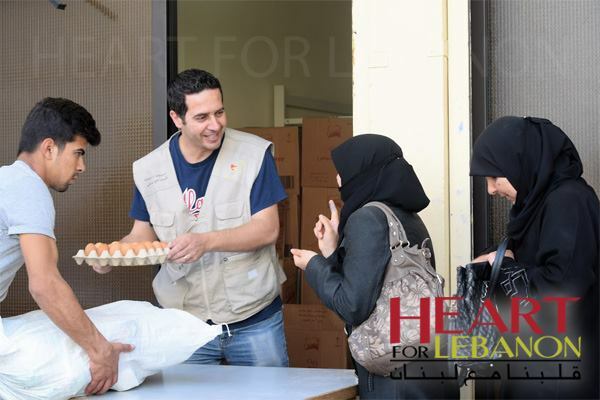 Want to support Heart for Lebanon financially? Then click here! Pray for healing and Christ’s transformative love in the lives of these refugees. Pray for the workers’ strength, encouragement, and ability to keep building genuine relationships and reflecting Christ.